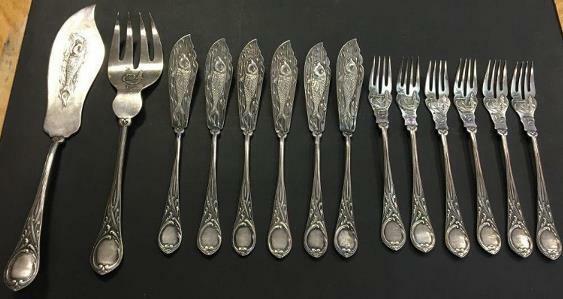 Russian Ice Cream Serving Set? Hallmarks? 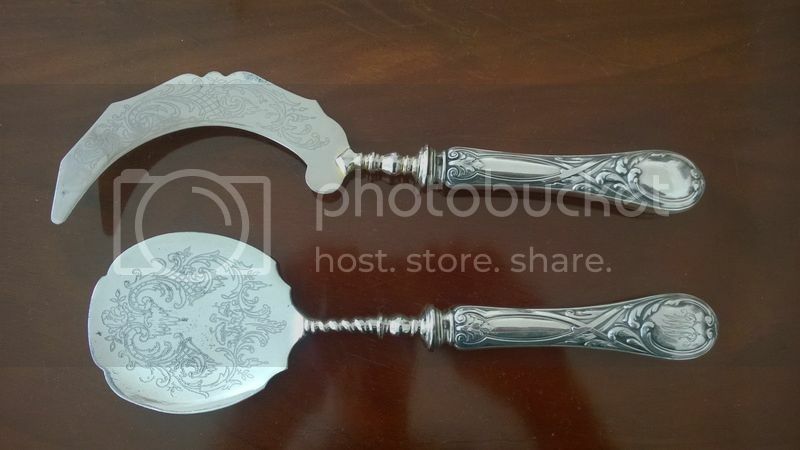 Re: Russian Ice Cream Serving Set? 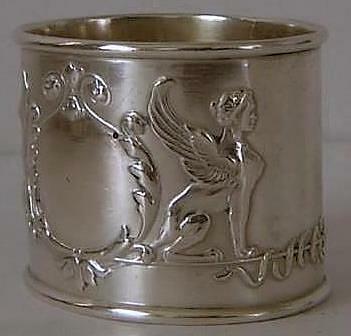 Hallmarks? 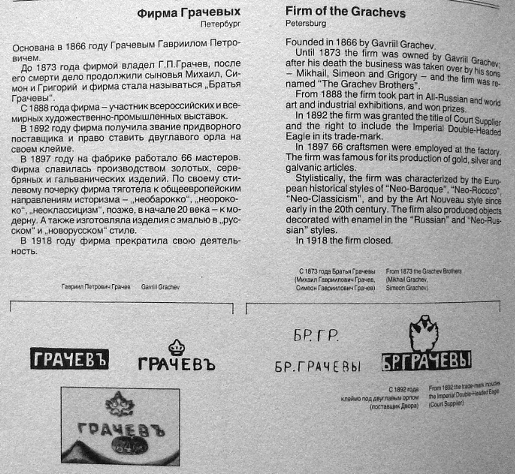 congratulations - you have the famous pattern used and made by the famous Gratschev brothers - Court suppliers!! Thank you Goldstein! 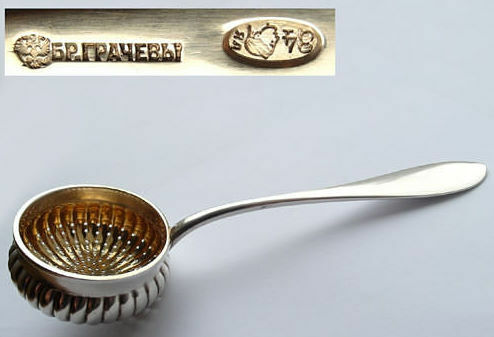 It is quite clear you are an expert in Russian silver, I have looked for information on Gratschev and can only find very few items that have been sold by this company. 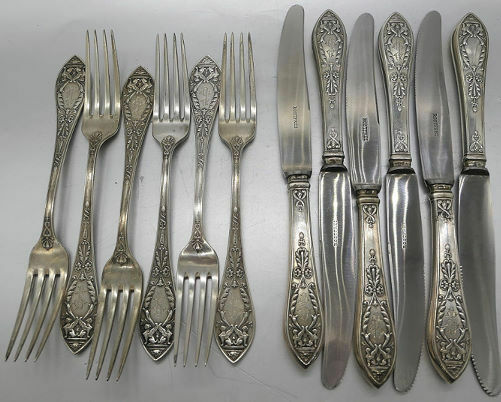 Are the items extremely rare and how can I find out more about the company? Any suggested reading? Again, thank you for taking the time to help novices like myself it is much appreciated. where to start and where to end? 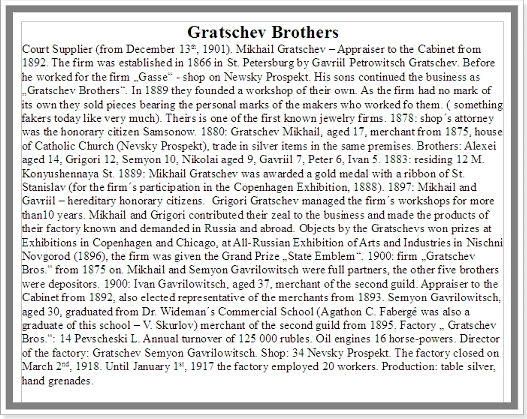 Gratschev´s oevre was not very rare - the firm had a big output - but after 150 years it is not easy to find his objects in very good condition. 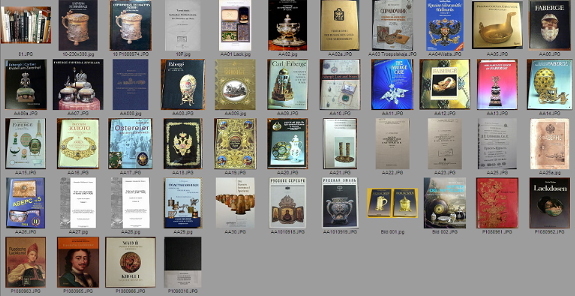 Look in auction houses - and prevent fakes! Thank you kindly i will start my studies! Indeed a nice set and congratulations for that. The set is actually not an ice cream serving set but consists of cake servers and an aspic server for jelly (on the right). The set has originally been consisted of a larger set but has at some point of their life been divided which is very common. 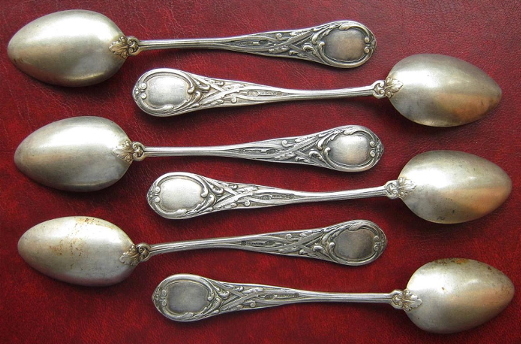 One addition, I believe the last spoon in the Goldsteins pictures is a soup spoon which typically has a round bowl in difference to table spoons for other types of meals in addition to also soups. the discussion soft ice sicle or aspic server is old but already answered. Aspic you eat with forks - not spoons! Ask someone. 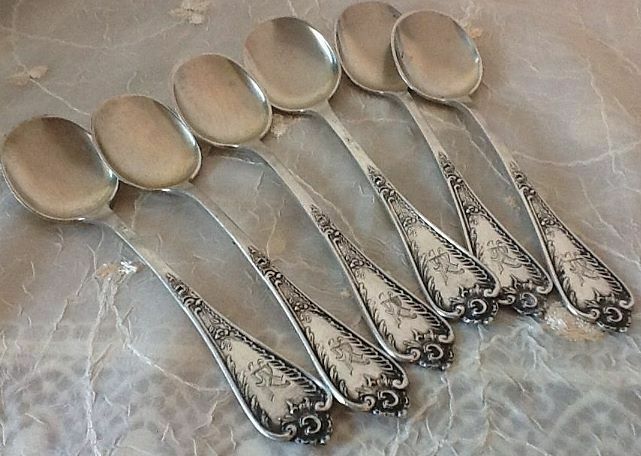 The offered sets are always with spoons. In France you find even today a lot complete sets. The spoons with the big round bowl are ice cream spoons - no soup spoons. I enclose some photos. 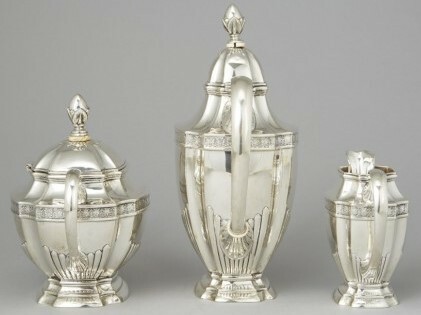 In my opinion that is "dealer lingo" like Kiddush cups, Caviar spoons etc. You could buy sets with different servers - when the box is missing some people think they belong together for one purpose - though they were made for different occasions. See photos. There seem to be different opinions if these would be ice cream servers or aspic servers even by reputable sources, the shape of the server would at least to my opinion work well both for ice cream and aspic jelly. 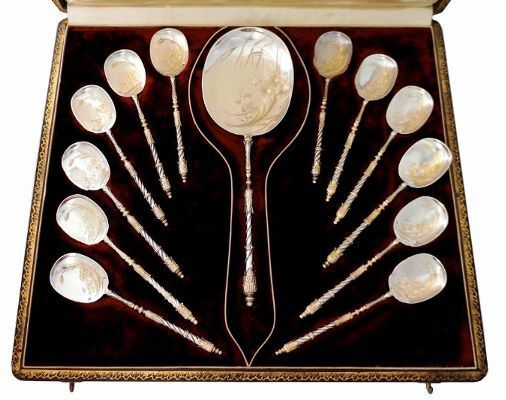 It can clearly be said that the mid-Europeans had these kind of ice cream serving sets as you show by your pictures and it is also correct that the aspic jelly was eaten by fork as you mention. Unfortunately there are not spoons in the Home free's set, the shown spoon by you could possibly then also be an ice cream spoon and not a soup spoon. 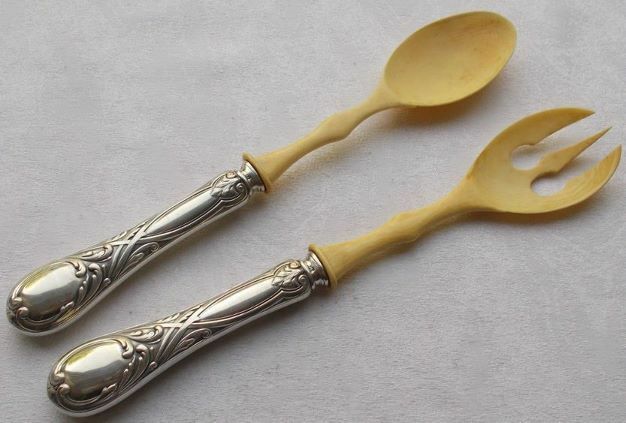 It can anyway be said clearly that there was also soup spoons with round bowls which were very usable for bouillon types of soups. 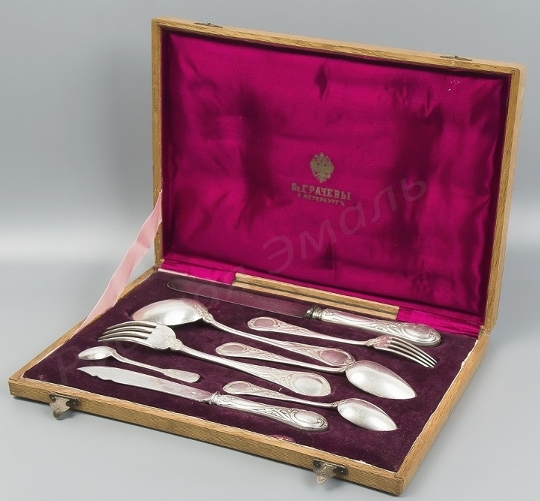 Thereby probably you are correct that also these Russian sets are made for ice cream serving, if there were aspic servers and how aspic was served is not clearly mentioned from several sources where I have tried to check. Due to my age I am in the lucky position that I have experienced many developments from the beginning. As a child I still remember the grotesque ice sicle - and the ice cream that was to be bought in the form of bread loaves - then the absolute luxury! Nowadays these instruments are more like parts from an operating room! 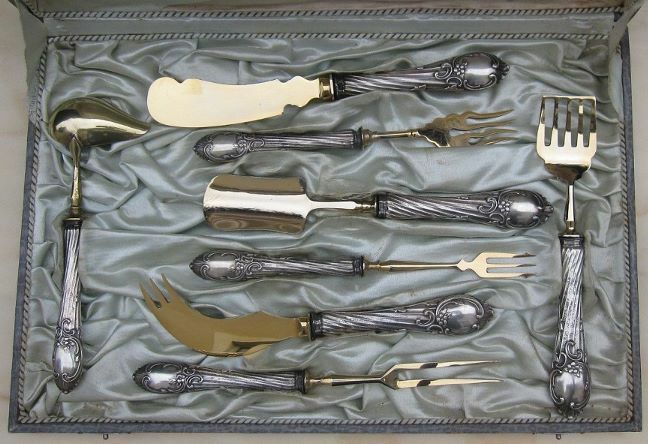 How you want to use these cutlery - aspic or ice cream - have fun with it and good appetite! Thank you to all who have posted here with information. It is much appreciated! The two articles on the left are for cutting and serving cakes. The item on the right....probably for some other sort of dessert.